Integrity – you need honest advice and be assured you are complying with UK immigration law. We will provide you with clear advice and give you a realistic picture of your options. Fairness – our fees are fixed and we are transparent by displaying these on our website. Although you may find cheaper fees elsewhere, you will always deal with an experienced, qualified adviser who is willing to spend the time necessary for your case and to keep you updated. We try to make our services accessible by providing different service levels and controlling our costs wherever possible. Respect – whatever your situation, you need someone to listen to you and be on your side. We care about our clients and understand the emotional impacts that dealing with the immigration system can have. Katherine Smith established Redwing Immigration as an independent immigration adviser after having qualified and practiced as an Immigration solicitor in leading law firms. 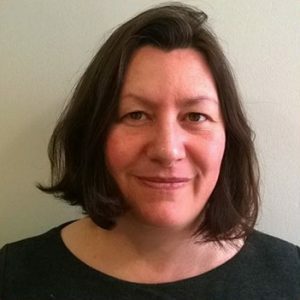 Katherine has experience of dealing with a wide range of immigration issues for individuals, businesses and schools including challenging Home Office decisions in the Immigration and Asylum Tribunal. She has a particular interest in complex EEA cases and family immigration cases relying on Article 8 of the European Convention on Human Rights. Katherine is accredited as a Senior Caseworker under the Law Society’s Immigration and Asylum Scheme as well as being regulated to conduct work at Level 3 by the OISC. She has also been an Immigration Officer at the Canadian Embassy in Beijing and gained valuable insight into visa decision making processes. Understanding the mindset and pressures faced by immigration officials helps her to present information and evidence clearly. Having completed legal training and gained experience in other areas of law, including as a Citizens Advice Bureau Supervisor, Katherine has a good understanding of how they interact with immigration and can connect you and work with other professionals including family and employment lawyers and accountants. Katherine spent several years living in Beijing and Taipei and so has a personal experience of immigration. She speaks fluent Mandarin and can read and is familiar with Chinese documents. You can find more information and can connect with Katherine on Linked in. Redwing Immigration is a specialist immigration law consultancy providing advice and services to individuals, businesses and schools. Sheffield, S1 2BX, United Kingdom.